This will sound basic but it can really transform a space. Our rule of thumb is to make sure that the door opening does not impact on the space in the room. 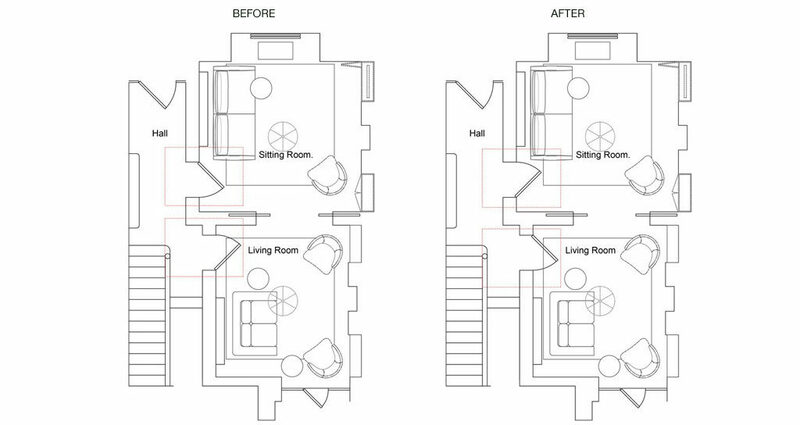 It may involve a bit of electrical work to move the switches etc, but it really is worth the effort, as per our before and after diagrams below, taken from one of our current projects. 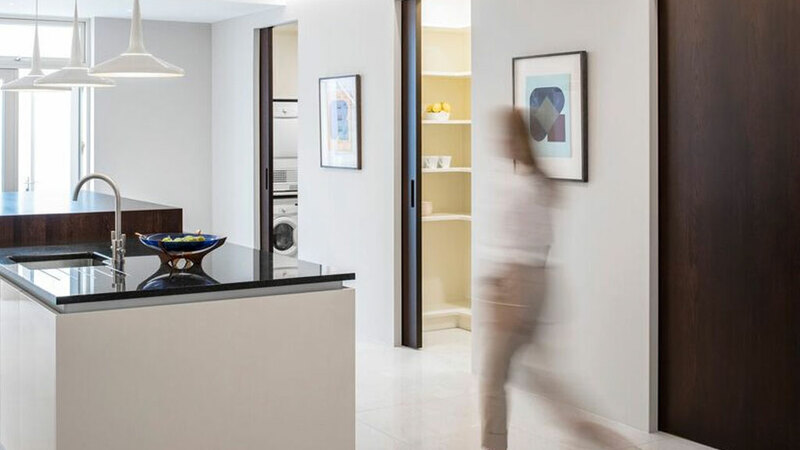 In our winning project as seen in the main image above, we designed sliding doors that lead to a laundry, pantry and general storage area. The door opening does not impact on the main kitchen area or the utility spaces. We incorporated a light feature into the door opening which lights up as soon as the door is opened, making it practical for the user. The result is a look that is sleek, with the space maximised. 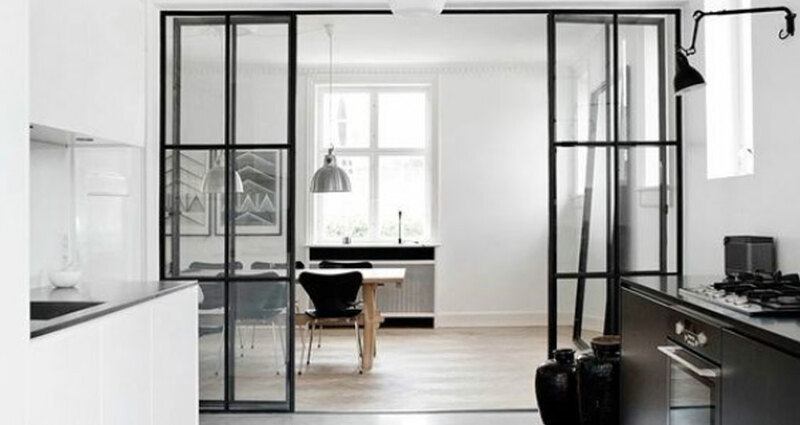 Metal-framed doors create a sleek impact, and look lovely in contemporary spaces. They feel industrial, but still exude a sense of refinement. By glazing wall to wall, you can really open out a space – and if you take that glazing floor to ceiling, it draws the eye upwards and lifts the room! To see more inspirational images of elegant metal door go to our Pinterest board. If you’re wondering how best to use your space, how to maximise storage, or how to plan a remodel of your home, we’d love to hear from you!